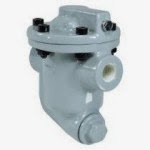 A blocked or leaky steam trap increases production times, reduce performance and wastes energy. By quickly identifying bad steam traps, you can save energy, optimize your process and improve safety. A well audited steam system reduces steam production costs, maintenance costs, repair costs, and possible environmental impact costs. Saving money has always been a good thing and now saving energy is more important than ever. Going "Green" and staying "Green" is the mantra of todays eco-responsible organization. Improving the efficiency of your steam production and management system is an easy place to find big savings. Steam trap monitoring is a basic way to reduce waste, costs and environmental liability. It needs to be done. Normal wear takes its toll and will cause steam traps to fail in either an open or closed configuration. Failed-closed traps create poor quality steam and effects steam efficiency, productivity, reliability and safety. Failed-open traps release live steam to atmosphere that wastes energy and money. Failed-open traps are very costly. Statistics show 3 and 10 percent of steam traps fail each year, resulting in a 10 to 33 year life cycle. For a large facility with 10,000 steam traps, 300 to 1,000 traps may fail every year. Below are tables that point out, in real terms, how much poor performing traps cost an organization. As you can see from the data in the tables, it's very important to regularly audit your steam system and replace faulty or leaky steam traps. The short term costs of auditing and repairing will be repaid many times over in lower fuel costs, maintenance outages and environmental liability.